Ultracombat - New modern kickstarter launching soon. Subject: Ultracombat - New modern kickstarter launching soon. 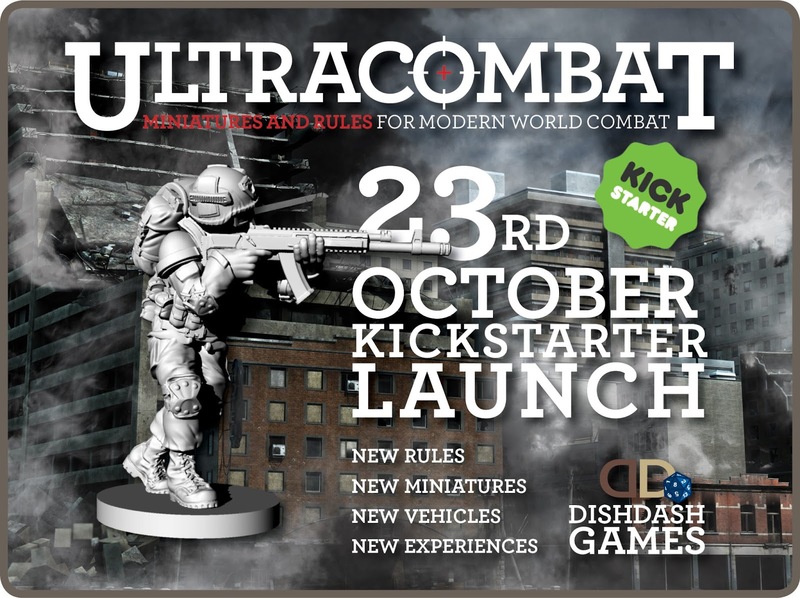 Ultracombat is a new ultra-modern ruleset that allows players to play at individual, fireteam or at squad level depending on the scenarios they wish to play. 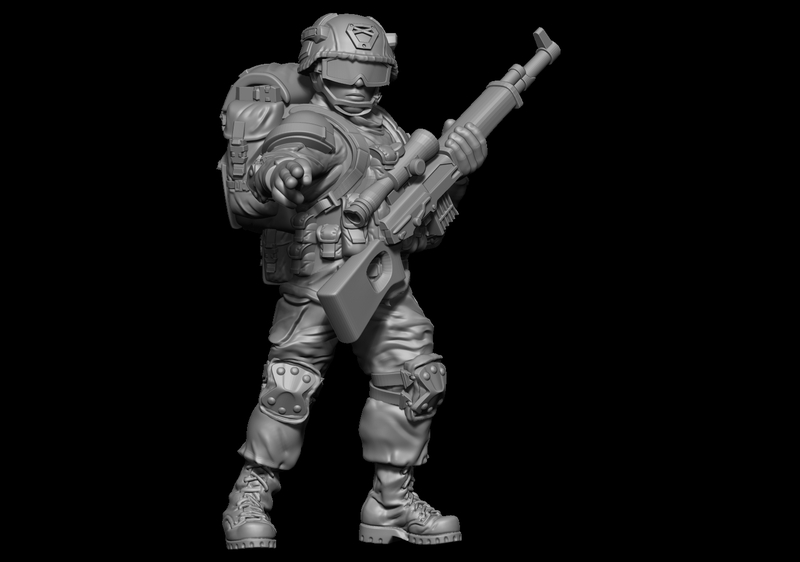 In this Kickstarter, we want to deliver not only a completely new ruleset but also the start of a range of figures to support the rules. The KS will go live on 23rd October. Should probably move to news and rumours? Subject: Re:Ultracombat - New modern kickstarter launching soon. They don't have a preview page up yet, so that's why there's no link. These are the guys who do Skirmish Sangin and did the Skirmish Ragers Kickstarter a few years ago. I've been waiting for this one, myself. Here's a couple of the renders they've shown so far. This looks quite interesting! Color me following this. Cool. 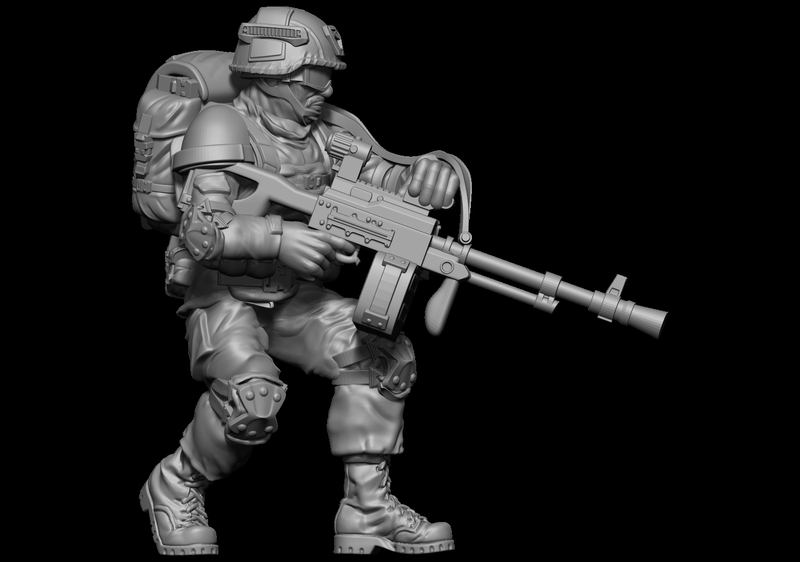 So are these going to be generic modern miniatures? I'm surprised a company would release a shot that shows such pronounced and obvious clipping problems. That stock isn't just doing a minor clip that won't really be noticeable on a mini, it's passing directly through the middle of the bicep and out the other side. Looks like they got the clipping under control. They sort of made an odd decision with the stretch goals, in that you need an all-in pledge to get them (compared to a cheaper miniatures or miniatures/rules only pledges), but I guess we'll see if that helps motivate backers to pledge higher amounts to get more stuff. Not enough images of the models themselves for me to pledge.